I’m at the Lib Dem Party Conference in Liverpool today and tomorrow. The sky is set fair and the sea is calm and so seems the conference mood by and large. I went to a good fring meeting at lunchtime Chaired by Julian Huppert MP and hosted by the British Heart Foundation (BHF), Diabetes UK and Stroke Association – entitled ‘Research to the Rescue.’ All are AMRC members. 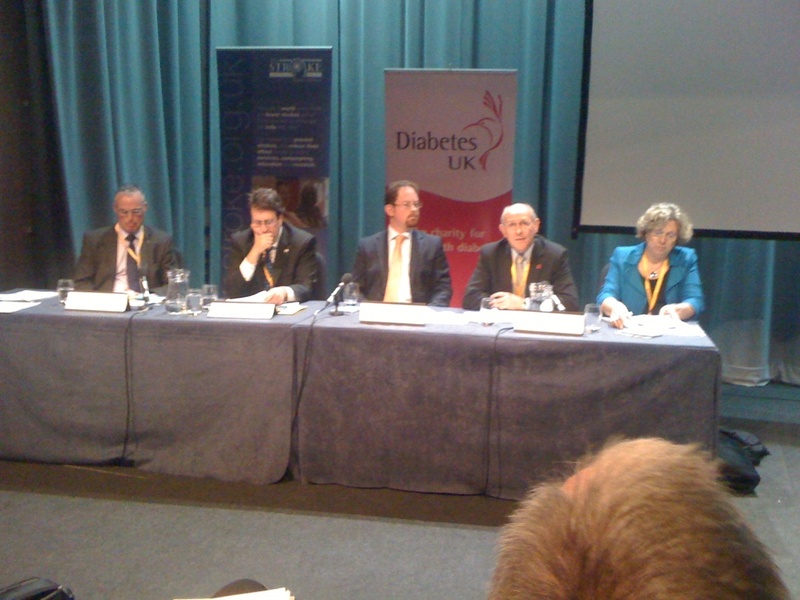 Baroness Northover, a Lib Dem Whip, also joined the panel of charity voices. The panel were asked to respond to questions posed by a clinician, scientist, patient and allied health professional in some video clips. It was a good meeting with a well-presented case on medical research and the need for Government to back it strongly. I was pleased that there was a good audience of 50+ to hear it – not bad considering I’ve spoken to a meeting of less than ten people before (and I knew everyone there!). Baroness Northover said the Government was well-aware of the science concerns of non-EU migrants and that there was likely to be more from the Government soon on mental health issues. Here’s a photo. Tonight I’m off to some more fringes and a Royal Society reception.